Stunning floor standing log holder to display your fire wood logs in style. 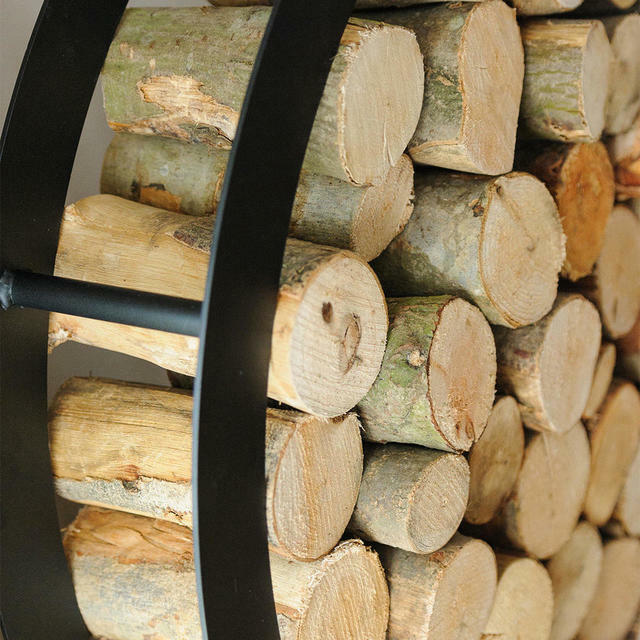 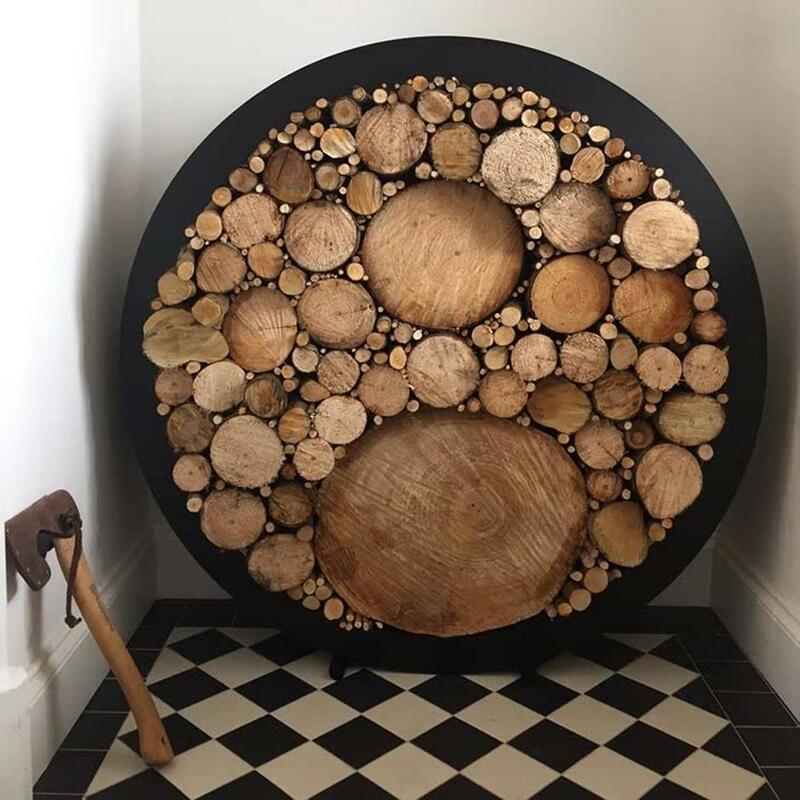 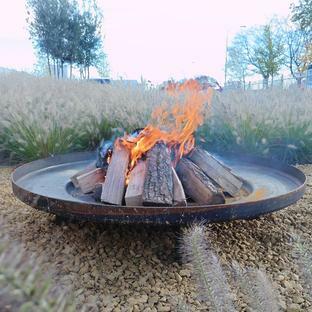 This floor standing circular log holder has been carefully designed to be both a practical internal log store as well as being a stunning focal piece near the fire or log burner. 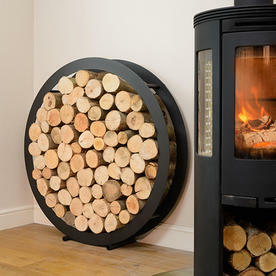 The steel has been powder coated in a textured matt black giving the log holder an elegant finish. Once you have a stunning log holder you may wish to have some logs to display - see here to order. 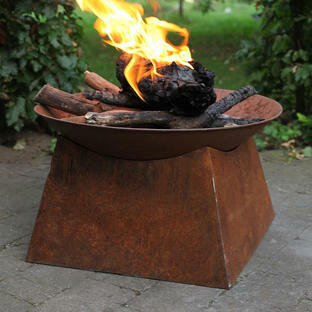 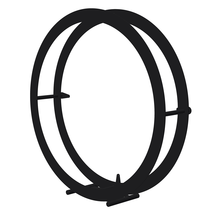 Made from 65mm wide steel plates at the front and back of the holders. 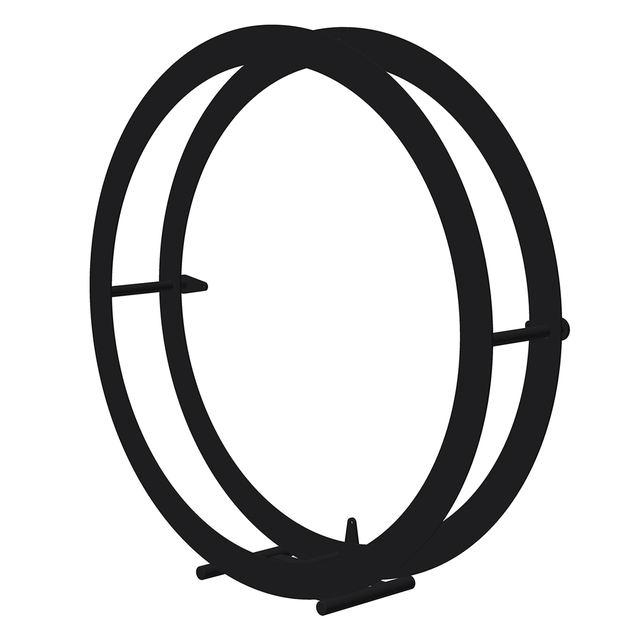 The steel plates are 4mm thick and are spaced 18cm apart. 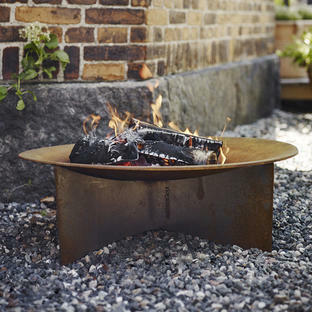 The galvanised steel is powder coated inside and out. 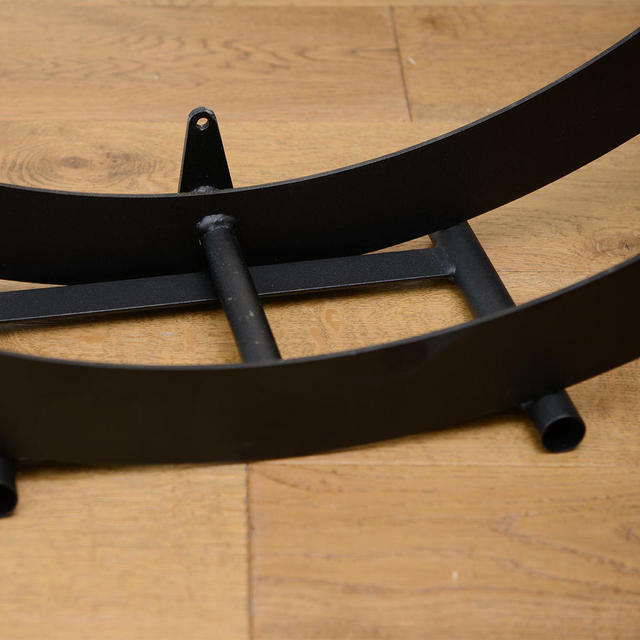 Log holder is supplied with a stable cradle for floor standing. 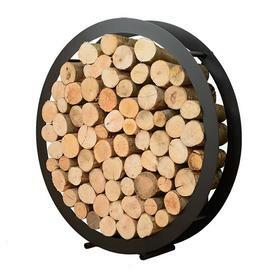 Suitable for displaying 20cm long logs.